Lorelai: Powerful enchantress, vengeful fugitive, crown princess. She must kill the wicked queen who took both the Ravenspire throne and the life of her father. Irina: Dangerous sorceress, ruthless manipulator, poisonous ruler. She must hold the throne - dispatching a dragon-shifting huntsman to cut out Lorelai's heart. But Ravenspire is rotting beneath Irina's dark magic, and the huntsman is at risk of losing his own heart to Lorelai . . . In this dance of death, there can only be one victor, one queen to rule them all. Lorelai is thrilled when her father remarries hoping that her stepmother Irina, the new queen of Ravenspire, will bring back the happy family that has been lost since her mother died. Unfortunately Irina has other ideas, she has a grudge against Lorelia's father for choosing her sister over her and she is out for revenge. Irina gradually uses magic to turn the king and courtiers alike into puppets and Lorelai is the only one who can see what is going on around her. Finally when Irina kills the king Lorelai manages to escape from the castle with her younger brother Leo and Gabril, a palace guard. Now it's nine years later and Lorelai, Leo and Gabril may have spent their time in hiding but they've also been training hard and preparing to fight to take back the kingdom that is rightfully theirs. Lorelai and Leo are both skilled fighters and Lorelai has also worked hard at learning to use her magic. While they've been planning their attack Irina's black magic has been slowly destroying Ravenspire from the inside and now the time has come when they're going to have to make a stand before it's too late. 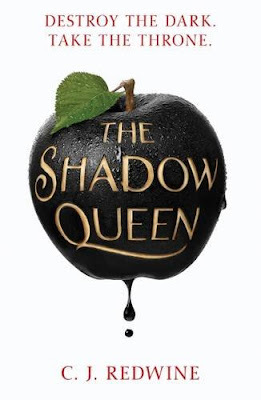 I'm a sucker for fairytales so I wanted to read The Shadow Queen, a Snow White retelling, from the minute I first heard about it. I was a little nervous after seeing a few negative reviews but don't let that put you off because I ended up loving every minute of this book. I was completely sucked into Lorelai's story from the very first page and I just devoured the story. This is a wonderful retelling, it takes all of the elements you'd expect to find in Snow White and transforms them into something fresh and original. Add in the dragon shifters and I'm completely in heaven! The characters are brilliant, Lorelai has been through so much but her determination to take back what is rightfully hers never wanes. She can see how much Ravenspire is suffering under Irina's rule and wants to bring things back to how they used to be, the magic Irina uses takes too much from the land and it's causing food shortages that leave people starving in the villages. Lorelai, Leo and Gabril have done what they can to try and help people but now their only hope is to stop Irina once and for all. Irina is power hungry and obsessed with destroying Lorelai and everyone close to her. Dragon shifter Kol gets caught in the crossfire when he comes to Irina for help. He is from a neighbouring kingdom and he needs Irina's magic to help him fight against his own enemies. Kol's people are being slaughtered and Irina is his only chance but she tricks him into making a promise that could end up costing him everything. I don't want to say too much more but if you love fairytales, fantasy or dragons then you really need to buy this book. 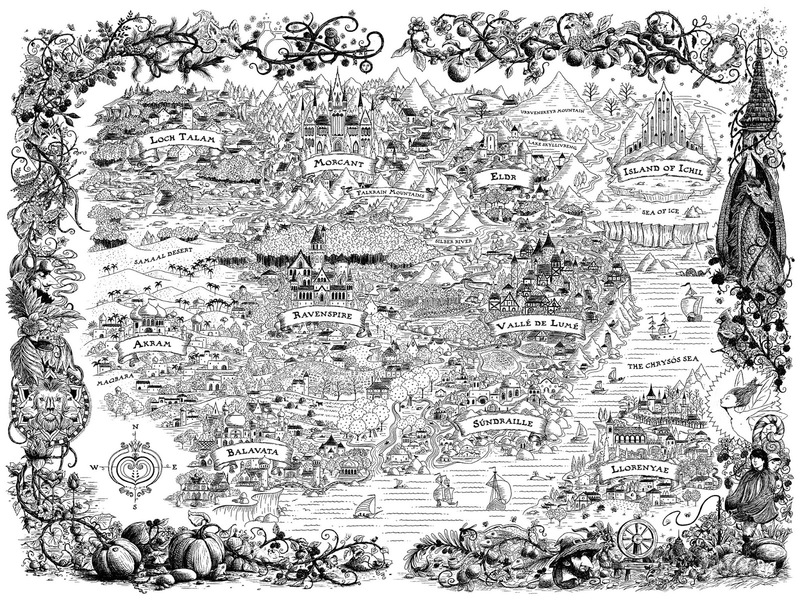 I'm so excited that there are going to be more books set in this world and I can't wait to get my hands on the next one. Source: Received from Scholastic in exchange for an honest review. I've seen mixed reviews too but I really enjoyed it so hopefully you'll like it as much as I did!